The purpose of this research is to identify complex cultural dynamics in the instructional design process of a cross-sector, cross-border training environment by applying Young’s (2009) Culture-Based Model (CBM) as a theoretical framework and taxonomy for description of the instructional design process under the conditions of one case. 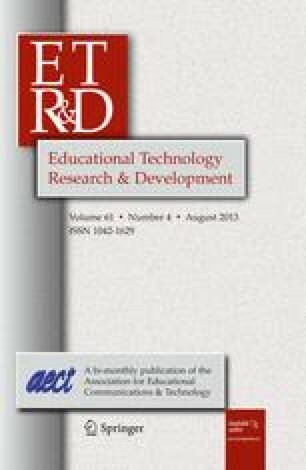 This research uses the qualitative approach of case study and applies a cultural design framework to examine cultural interactions with the process of instructional design in a NASA/university consortium program to train employees of an education software company headquartered in India. The findings indicate that at least twenty-three distinguishable elements of culture interact with every component of the design process in the: 1) goals and funding decisions of the client; 2) goals and design decisions of the design team; 3) perceptions of the training program of all stakeholders; and 4) the observable outcomes of the training program. By empirically illuminating the pervasive presence of cultural interactions across the instructional design process, this study advocates for culture to be recognized as a construct of importance in our field and demonstrates the powerful capabilities of using a comprehensive descriptive model as a lens for exploring cultural dynamics in the instructional design process.